Welcome to the newest section of A.J. 's BPD Inside Out blog in what is known as a microblog. Welcome to Ask The BPD Coach with A.J. 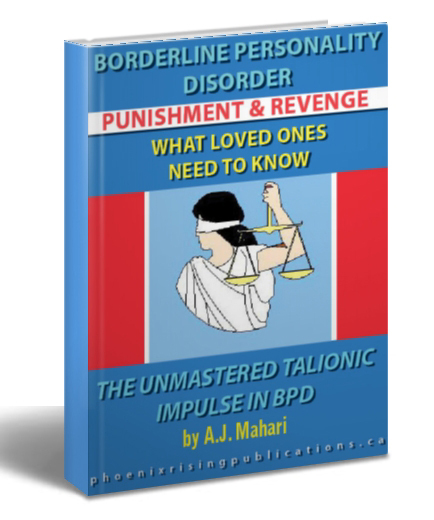 Mahari, an interactive blog where you can ask the questions that you want and/or need to know more about BPD. Whether you have Borderline Personality Disorder or are the Loved One of someone who has BPD understanding what you are experiencing is central to coping in healthier and more effective ways. A.J. Mahari is a Life/Mental Health and BPD Coach. She is also someone who recovered from Borderline Personality Disorder 14 years ago. She had two parents with Borderline Personality Disorder and as such has the experience of being an adult-child of BPD and some years after her own recovery from BPD was in a relationship with a person who has BPD/NPD and experienced life as the partner of someone with BPD. A.J. Mahari has a tremendous amount of first-hand life experience with Borderline Personality Disorder and she knows what it takes to not only recover from BPD but also to go through a recovery process as an adult-child of borderlines and as the ex-partner of someone with BPD. Full-circle experience that is the foundation of her experience and ability to write about BPD and to coach those with BPD and their loved ones. © A.J. Mahari, and © Ask The BPD Coach, August 21, 2009 - All rights reserved.